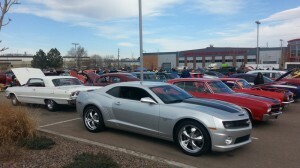 The 3rd Annual Lincoln College of Technology Hot Rod Show turned out to be a really good show. The weather was a bit cool in the morning, by quickly warmed up to be a really nice day for a car show. We saw over 150 cars, trucks, SUVs, motorcycles, and yes, even a mini van on display. The cars were parked both inside the building and outside. Food, kids activities, and several vendor booth were all available. 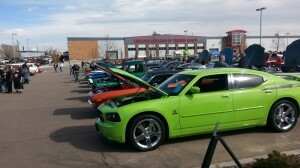 Overall, it was a great show for this early in the car show season! We got to talk with many friends we have not seen since the end of the season last year.